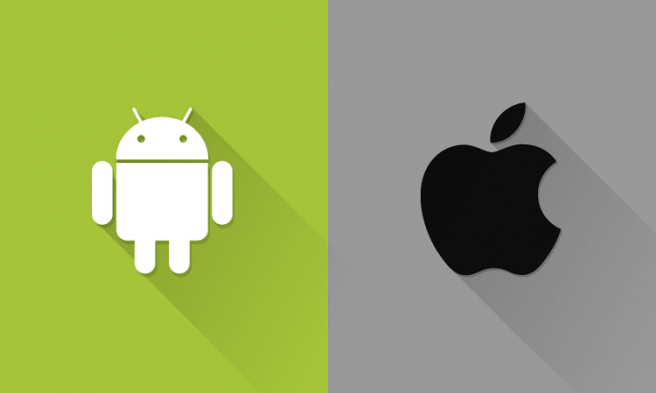 We could debate for hours, or even days, on why Android or iOS is better. We could cover the handsets, as well as the quality of the operating system itself; we could clash app numbers, downloads, and revenues, or even market share. But this has all been done in the past, so there is no use to bring it up again. Today, in turn, I’d like to take a look at a different matter: how the two leading smartphone platforms of the industry handle their respective app marketplaces: the App Store and the Play Store. Let’s take a look at the numbers behind each OS provider’s app marketplaces for the whole last year – 2016. Although Android has a much larger market share (over 80% at the end of last year, according to IDC), it is second behind the Apple App Store when it comes to the number of apps. At the end of 2015, the Apple App Store had 1.3 million apps listed, a hundred thousand more than the Play Store. Many leading apps are released on iOS first, or even as iOS exclusives, leaving Android users waiting in vain. The list of these apps includes Bumble, a female-focused dating app, Photoshop Fix, Clear, or even games like Infinity Blade III or Ocean Horn. The two app marketplaces have different policies when it comes to gambling apps. Google still maintains its strict ban on anything that involves real money gaming, no matter if it’s sports betting, poker, or casino games. Apple had a similar restriction in place for years, but it has abolished it – so now iOS users all over the world (except for the US) can download and install native real money gaming apps on their phones or tablets. Sports gaming is also in Canada a popular pastime, even if in a bit of a gray area, and in many other parts of the world where it is regulated and licensed. Those seeking to engage in their favorite real money gaming activity can do so on the iPhone, using a native app, but not on Google’s Android, thanks to the developer’s restrictive policies on the matter. The majority of app developers not only take pride in their work but expect to be paid for it. This means that they will choose the platform that promises more revenue, and faster. iOS, of course. Although on Android games can reach a much larger audience, they can reach the right one on the iPhone, with more money, and more willing to spend. Although it has a lot to improve when it comes to user-friendliness and ease of use, Apple’s App Store offers both users and developers a superior experience when it comes to variety and revenues.